Most veteran SEO’s should already know the difference. However, there is something to be said about long-tail keywords. Wouldn’t they just be the same as a keyphrase? The idea for both is that multiple words are used to target a specific query. According to Yoast, they are not exactly the same. The new SEO analysis feature can be turned on with the latest version of Yoast SEO. It’s available via a toggle button in the plugin’s general settings. I actually just enabled it for this website. This prompted me to go back to one of my longer posts to see if the color indicator changed. While this post still reports as green, a few new problems were displayed. One of them I disagree with. 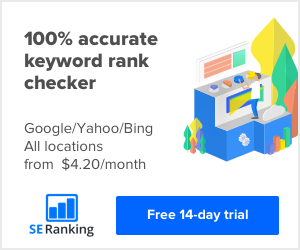 Whether you can gain any SEO benefits from a FAQ page really depends on the depth and scope of the questions and answers. For instance, if a business lists trivial questions such as What are your business hours? or What is your refund policy?, the probability of it being discovered through the search engines is slim. However, if a complex question has a thorough and detailed answer as it pertains to your business, there is a good chance that some search traffic can be gained. Do similar targeted keywords affect ranking across different pages? What is keyword cannibalization? If you optimize your articles for similar terms, you might suffer from keyword cannibalization: you’ll be devouring your own chances to rank in Google. Google will only show 1 or 2 results from the same domain in the search results for any specific query. If you’re a high authority domain, you might get away with 3. Why is keyword cannibalism bad for SEO? If you cannibalize your own keywords, you’re competing with yourself for ranking in Google. Let’s say you have two po..
Should you change your SEO every time google makes an update? I’m often conflicted with these same feelings when it comes to Google. If they ask me to jump do I say how high? Getting ranked in Google has a trickle-down effect to the success of your website. Which in turn, can affect how much income you generate. Like anything, I think each aspect of optimization and SEO needs to be researched on a case by case basis. Meta descriptions, for example, aren’t guaranteed to be used in the search results. Rather than go back and change the length of all the previously optimized descriptions, time would better be spent creating new content. Yep. I fell for the title. I thought the author’s post was going to be a holier-than-thou outlook on blogging. I’ve seen plenty of other articles with similar scolding titles. Reasons why you SHOULDN’T build an Amazon affiliate website comes to mind. It’s as if they’re saying, you can’t do this so don’t even try. Of course, you’ll only be successful if you can stick through the rough times. You also have to accept failure but not give up if that makes sense. When I talk to other website designers, they all understand the importance of SEO. A lot of them think that content and backlinks are the only really important factors when it comes to ranking for terms. They’re right in the sense that both of these things are crucial to achieving good rankings for targeted keywords. However, not too many value the other factors such as on-site optimization. This doesn’t just mean how well or fast a website performs for a visitor, but also how the content is structured.